With its elegant design inspired by nature, this attractive, pearl­white cordless phone from Gigaset looks great in any modern home, and it provides a useful range of features including a baby phone function and a high quality speakerphone and headset port for comfortable, hands­free phone calls. Blending comfort with user friendliness and functionality, the Dune CL540A provides a myriad of possibilities. You can choose from either a light or dark background for the large colour display, while the icon­based user interface and easy navigation keys make call management and personalisation a breeze. The handset is equipped with two direct access keys providing one-touch access to your favourite functions, and a backlit keypad ensures that the phone is easy to use even in the dark. The Dune CL540A sports a digital answering machine recording up to 30 minutes of voice messages. Integrated into the base station, you can also listen to your messages from the handset or by using the navigation buttons on the base, and there's a message counter on the base unit to help you keep up with your missed phone calls. By activating the baby monitor function, you can place the phone in your child's room and have the phone call another internal handset or your mobile phone when your baby wakes up. A talkback function is also available. 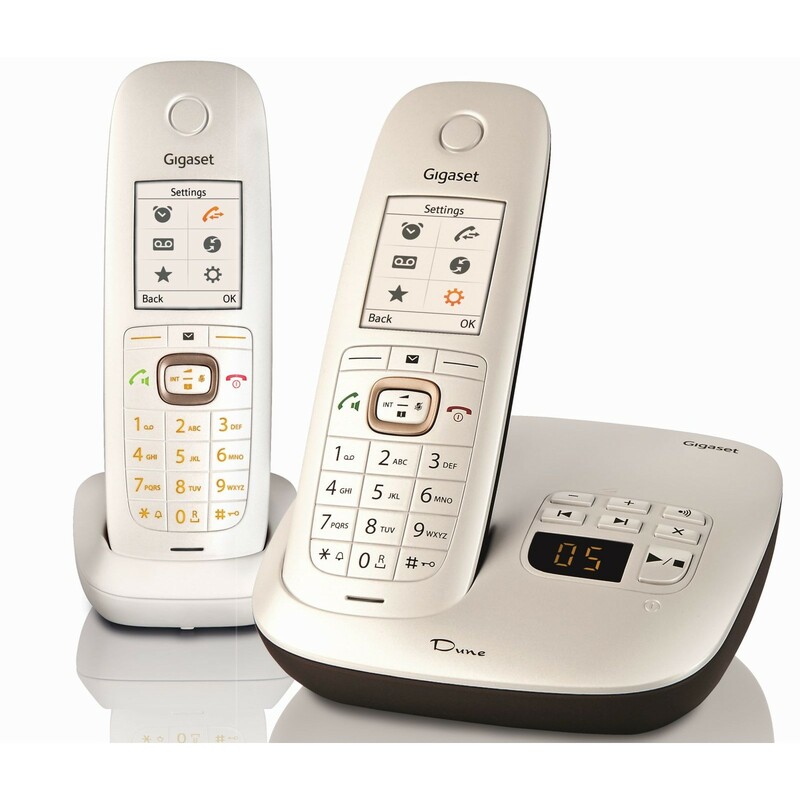 The Gigaset Dune CL540A perfectly complements any high­class modern interior.